The 20 percent devaluation of the Fiji dollar has forced the Suva Private Hospital to increase its fees and charges for all services effective from today. To our valued customers of SPH. 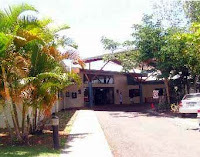 It is with deep regret that Suva Private Hospital has been forced to increase its fees as of 1 May 2009 in response to recent events in Fiji. This decision has been made so SPH can continue to provide you, our valued customer, with high quality, locally based private healthcare services. It's not clear how big the increase in fees and charges will be. The hospital is owned by COLONIAL and has been operating since 2000. It was also the only private hospital in Suva until the end of last year, when a group of prominent local doctors opened one.